Disney mask and costume playsets are really creepy! 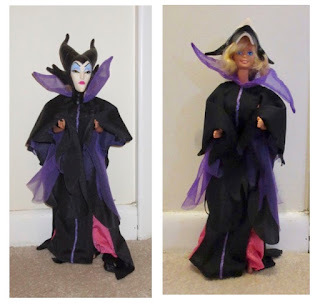 Wicked Stepmother Mask & Costume Playset. but doesn't she look like Samantha Stevens in the outfit? 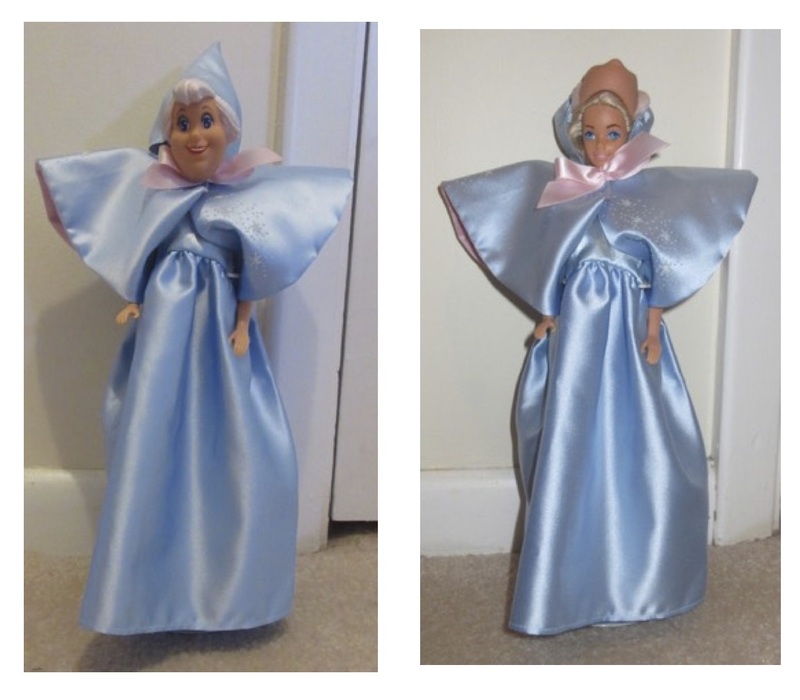 1991 2419 Fairy Godmother Mask & Costume Playset. 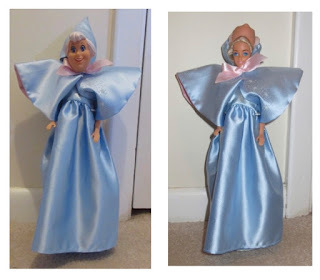 and makes a great witch's outfit for Barbie. 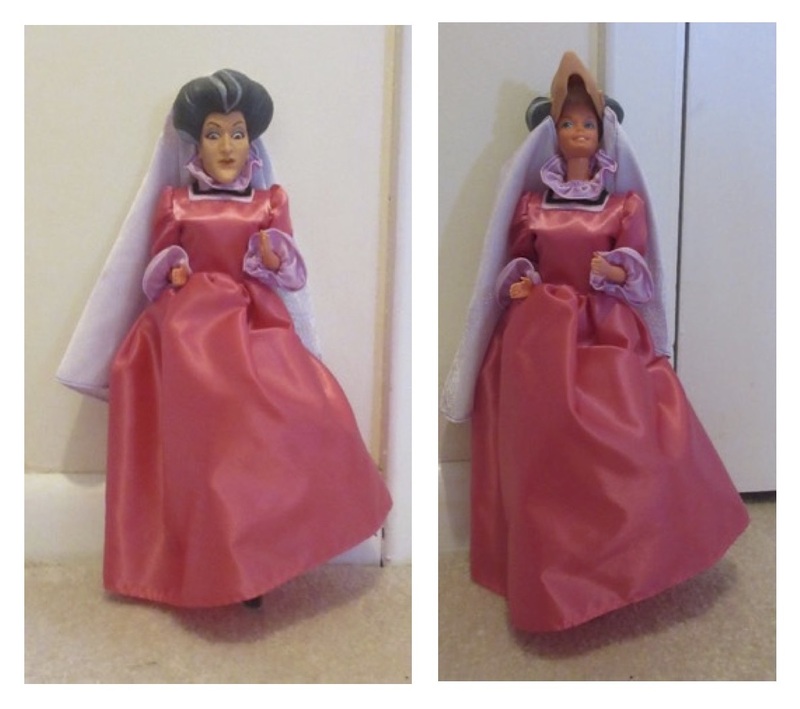 There were four mask and costume playsets sold with the Mattel Disney dolls in the 1990s. Mattel came up with a clever way to make four new dolls that were far more inexpensive than actually selling the dolls themselves! The outfits were beautiful and the heads were highly detailed and stunning yet scary. The masks were actually entire heads, with three of them being slit in the back to fit over another doll's head. The Wicked Queen comes with a face attached to black wrap-around cloth to pull over a doll's head. The Fairy Godmother is a good character, but is creepy because of her huge staring eyes. 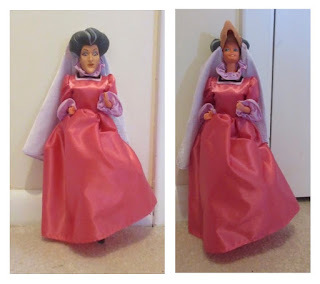 The pink gown for the Wicked Stepmother, whose name was Lady Tremaine in Cinderella, looks very Barbie-ish if worn without the mask. 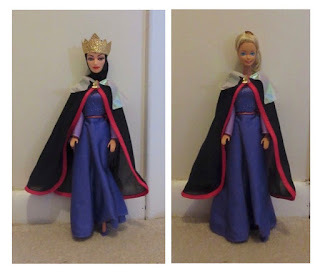 You will need a Barbie with short hair or hair tied tightly back (or altogether bald!) wearing the costume in order to fit the mask over her head. In the photos I pulled the masks/heads back so that you can see actual doll underneath.